The SCORE Program was designed and implemented by staff of the Simpson County Detention Center to address the problem of recidivism. The program has received considerable attention and is now a model for communities across the Commonwealth. Local SCORE partners include the Franklin-Simspon Chamber of Commerce, The Franklin-Simpson Industrial Authority, Southcentral Kentucky Community and Technical College, the local chapter of Society of Human Resource Managers, the Kentucky Career Center and Franklin Bank and Trust Company. Program participants must apply and be accepted. Upon acceptance, participants work with a counselor to plan their successful transition based upon test results and aptitude. All training is geared towards a successful reintegration to society, including vocational training, relapse prevention and familial interaction. Particiapnts agree to continued contact with SCORE staff for a minmum of one year after release. Staff may provide help with job placement, housing placement or may be the resource a returning citizen turns to when needing some unbiased advice. All of our program participants are expected to hold themselves accountable and be model representatives of the program. 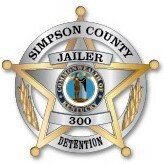 Participants are required to follow ALL Department of Corrections, Simpson County Detention Center and SCORE Program Rules. Failure to do so can and will result in removal from the program as well as possible further disciplinary actions depending on the infraction. We hold our SCORE participants to a higher standard, as they should hold themselves.